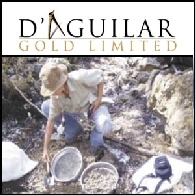 D&apos;Aguilar Gold Limited (ASX:DGR) are pleased to advise that Dr Matthew White has joined the group as the CEO of D&apos;Aguilar subsidiary Archer Resources Ltd. Archer Resources is the new name for Anduramba Molybdenum Pty Ltd, which now owns 100% of Barlyne Mining Pty Ltd.
Australian resources company, Artemis Resources Limited (ASX:ARV), is pleased to announce the appointment of Andrew Johnstone as Project Director. Andrew will be responsible for leading all exploration and development of ARV projects. 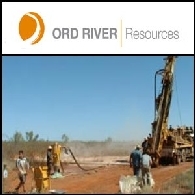 Andrew has previously held senior management positions at a number of ASX listed companies including Gulf Industrials Limited (ASX:GLF) and Discovery Metals Limited (ASX:DML) (PINK:DVYLF). 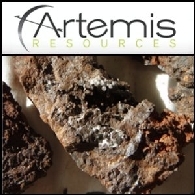 Andrew brings to Artemis over 20 years experience working in exploration, resource development and mining. He also has a proven background in capital raisings and other corporate activities. 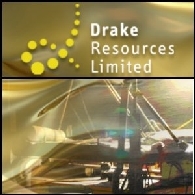 Australian Market Report of December 24, 2010 includes: Drake Resources (ASX:DRK) today announced a placement of A$2.18 million; Discovery Metals Limited (ASX:DML) announced high grade results at the infill drilling; Planet Metals (ASX:PMQ) has signed a farm-in agreement with Drummond Gold Limited (ASX:DGO); Mako Energy Limited (ASX:MKE) successfully closed a placement of A$4.5M. 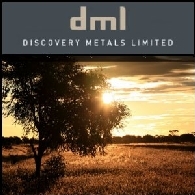 Discovery Metals Limited (ASX:DML)(LON:DME) announces a substantial improvement in the grade of the Mineral Resource at the Zeta prospect at its Boseto Copper Project following re-evaluation by Snowden Mining Industry Consultants Pty Ltd (&apos;Snowden&apos;). 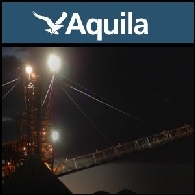 The upgraded Resource includes drilling results as released to the market during the past 6 months.